Raven began playing the Native Flute as a young teen growing up in the Florida Everglades. His Taino and Seminole heritage was a strong influence in his desire to give something back to the community and share the gift that music brings. 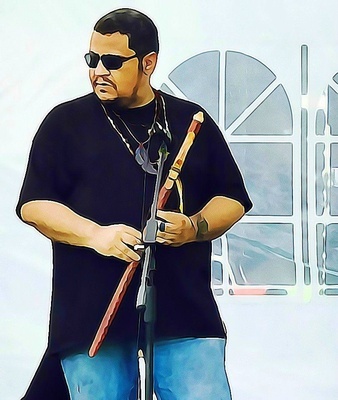 Raven brings a genuine, healing song that is strongly influenced by the very heartbeat of our Earth Mother and the stories that shape our lives. Through song and story he will take you to that place where lessons are learned , experiences are shared and new visions are realized. Join us for an evening of healing ,laughter, joy and reflection as together we journey as one people , one heart .. and rediscover the sacredness and beauty of YOU !